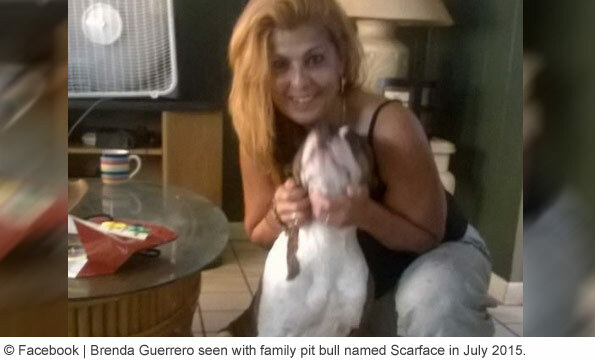 Family pit bull named "Scarface" mauls family after owner tries to put a sweater on it. 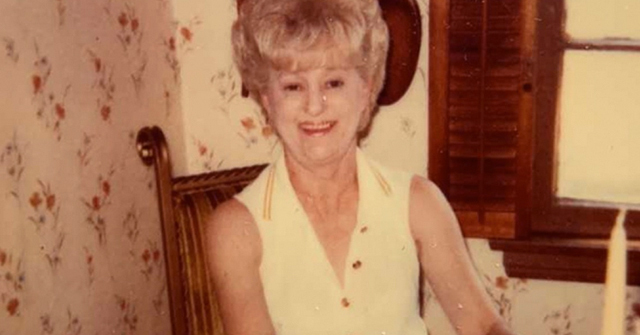 Tampa, FL - In a story that has gone national now, we remind readers of breed-specific traits. Last Friday, WTSB reported that a family pit bull named "Scarface" attacked three family members after its owner tried to put a sweater on it. 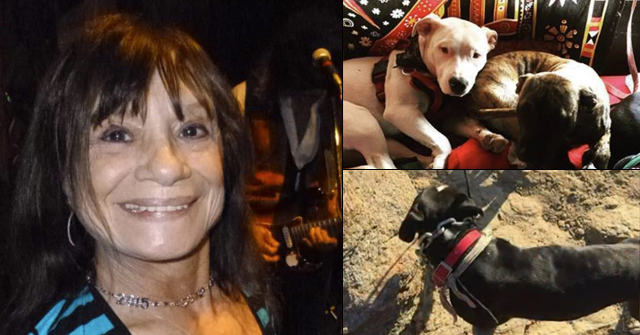 Brenda Guerrero, 52, went outside to put a sweater on the dog, when it began attacking her. When her husband, Ismal Guerrero, 46, intervened, the dog attacked him too. 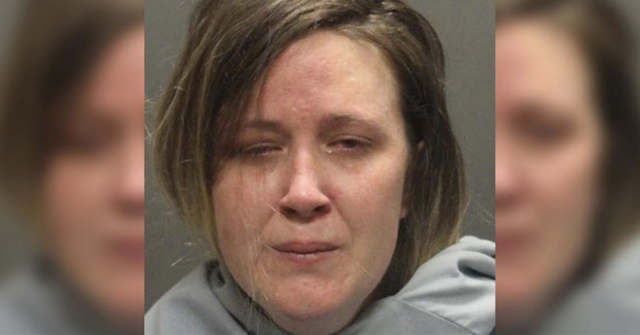 Their 22-year old son also intervened, stabbing the dog in the head and neck. All three fled the house, leaving the pit bull in the backyard. Police and animal control responded to the bloody scene. Animal control officers shot the dog with a tranquilizer gun, but the pit bull was still able to get back into the home where two children were present. Police used a Taser and a bean bag gun on the dog before finally catching it. Guerrero's granddaughter, Tina Harris, said she underwent surgery Friday and is recovering from her injuries at Tampa General Hospital. Any other dog breed objecting to being handled for a sweater fitting would have barked or at best, nipped. The hold and shake bite style, which caused Guerrero serious injury, is a pit bull specific behavior, as is repeatedly attacking. The dog continued its assault after being stabbed in the head and neck, shot with a tranquilizer and Tasered. "When they Tased the dog the dog was still pulling away and was able to release the prongs from the Taser," Officer Eddy Durkin told ABC 7 News. 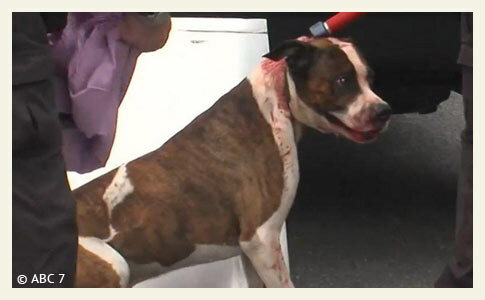 Another article says it remains unclear whether this dog will be euthanized. Do they actually think it can be rehomed? Of course they'll just have to tell the new parents not to try and put a sweater on him, or else. Rehomed? The proper term is rescued. This story made it onto my local newspaper's website. The comments showcase the psyche of nuters. Repulsive. Just after reading this article, I took my Chi out for a walk. A pitbull I haven't seen before escaped my neighbor's fence and started barking and running towards us. I picked up my dog and started walking in the other direction. I was expecting him to chomp down on my leg, but a man grabbed him right away, took him in and just slammed the door without saying anything to me. What a coward. Kay Cee, you need to file a police complaint and check to get a copy to make sure it is on file. NOT the dog officer, because they will often just throw the report out or lie about it. A dog, a child ,or an adult is going to be killed. Please don't walk your dog there anymore. To be Honest, I would never take a dog on a leash in public places anymore, because you never know when the attack will happen. There was an elkhond attacked by 2 wolves in Sweden (there's go pro footage of the attack online), apparently what saved her life was the steel lined vest she was wearing (owner was a hunter, it's possible the vest is available from hunting outlets or something?). I'd love to get one of those vests for my dog to feel a little safer walking around areas where pits live, it's sad that I feel I have to go to such lengths though – and pit bulls are banned outright here (doesn't stop people keeping them and pretending they are staffies). Doesn't the owner look even more psycho than her dog?? Something about her eyes just looks… insane.. 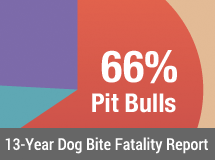 I guess that's why many pit owners choose their dogs? Psycho attracts psycho? Play stupid (pit bull) games, win stupid (pit bull) prizes. Why didn't they just shoot the wretched animal with good old fashioned bullets? Did they believe "3rd time's a charm"? It was stabbed, Tased, pepper sprayed, and hit with bean bag rounds and it was still rampaging? All because the owner tried to put a sweater on it. No overreation there. And people allow these freakshow animals around their children? Disturbing.